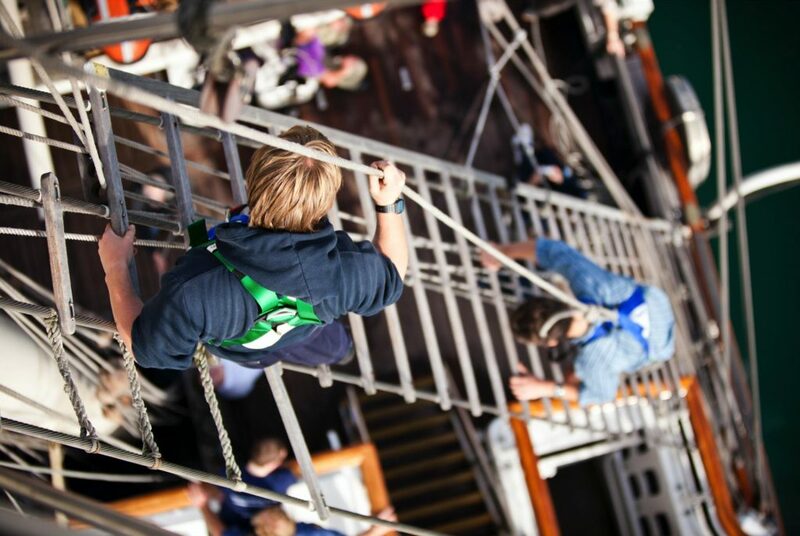 From the instant you step aboard one of our tall ships you’ll be welcomed into a new and exciting environment. 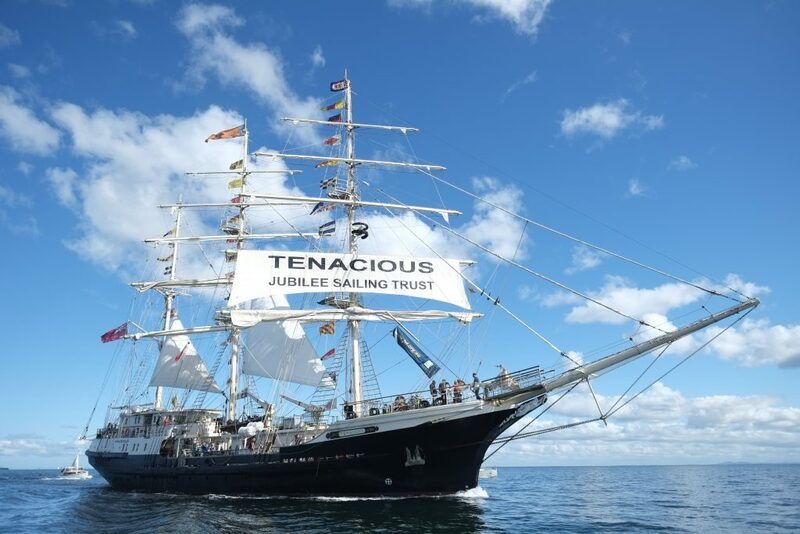 Whatever kind of adventure holiday or sailing experience you are looking for, the JST has something for you. 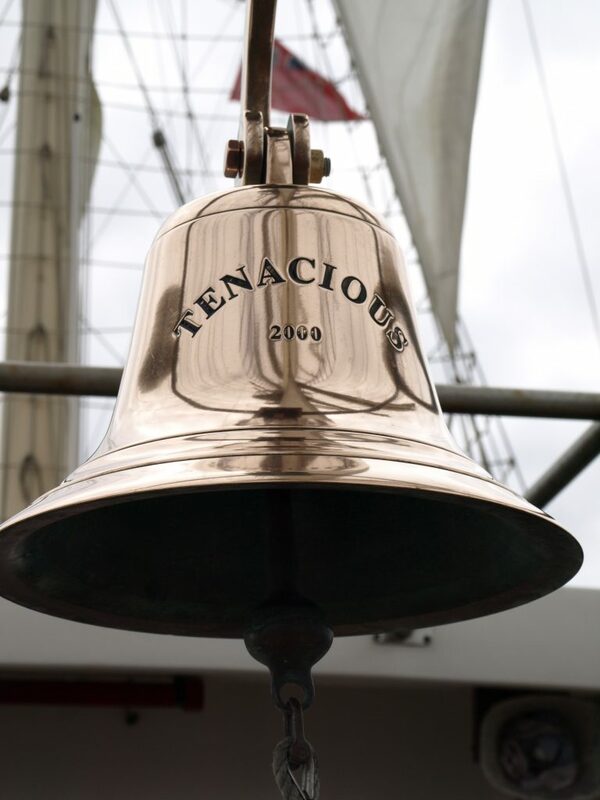 You can search our voyages and day sails by location, ship and duration. Whether you choose a day sail or a month-long passage voyage, with the JST you can get involved with as much or as little of the action as you feel comfortable with. 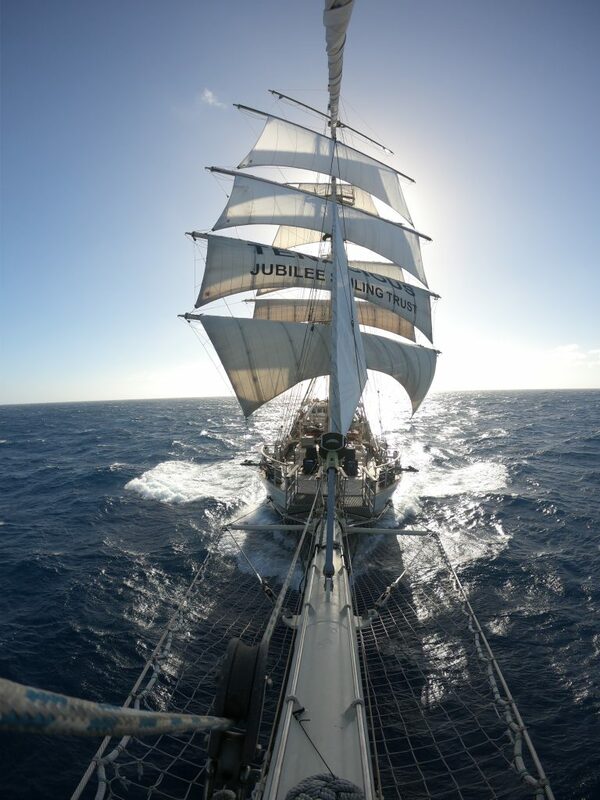 Voyages cost the Jubilee Sailing Trust £200 per person per day, but our fundraising heavily subsidises this cost for all crew members. If you can, please consider making a donation or helping to fundraise towards the full cost of your voyage. 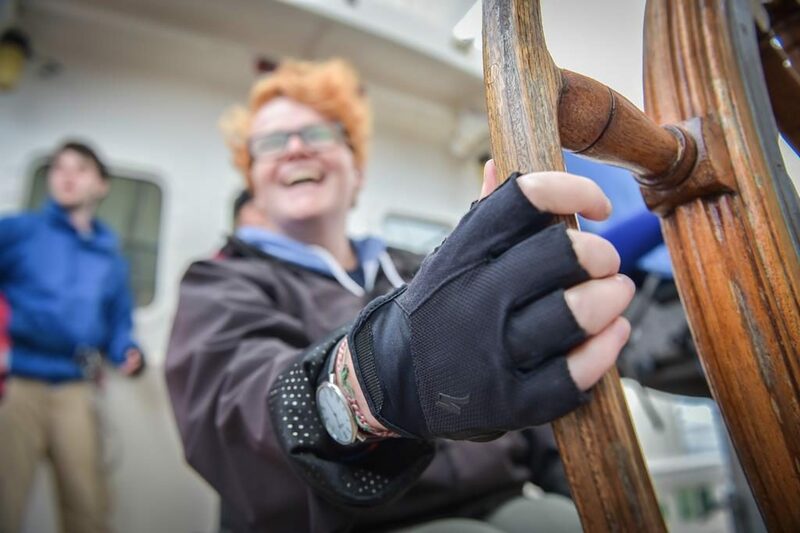 This enables us to continue to offer bursaries for those that are disabled and less able to afford such an inclusive adventure afloat. 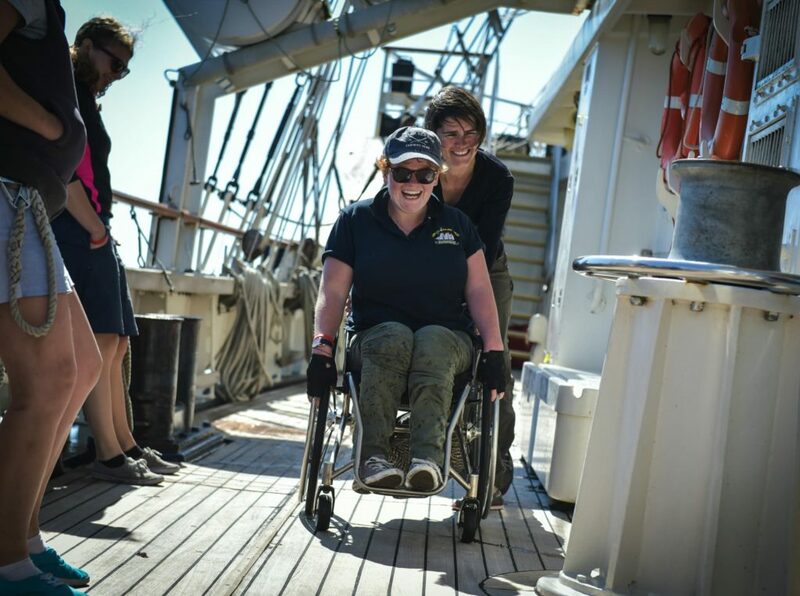 In order to make our voyages as accessible to everyone, we have bursary funding available for those who may not be able to afford the advertised contributions. Both non-disabled and disabled individuals, from the age of 16 upwards, can apply for funding towards the cost of their selected voyage. Click here to see where our ships are currently sailing. Coastal voyages usually run during the UK Spring/Summer months. Our Coastal Voyages are usually up to 5 days in duration, including the joining and leaving days. Because of the fairly short duration, it’s unlikely you will sail too far away from the coast and discover new continents, although for Coastal Voyages from the UK South Coast, if the winds are fair the Captain may decide a foreign visit to France/Belgium/Channel Islands is possible. The voyage might include a couple of nights at sea (but not usually more than two). Our Offshore voyages are usually between 6 and 14 days long, so you will be at sea for longer and may spend multiple nights at sea out of sight of land, though the ship will generally remain within 200 nautical miles from a safe haven and any one passage will be less than 600 nautical miles at sea. You might encounter more difficult weather and the challenge of this type of voyage may be the length of time at sea, the weather expected at a particular time of year or the sea area might be just a bit lumpier than most (yes North Sea, I’m looking at you!). These voyages are longer and more challenging. 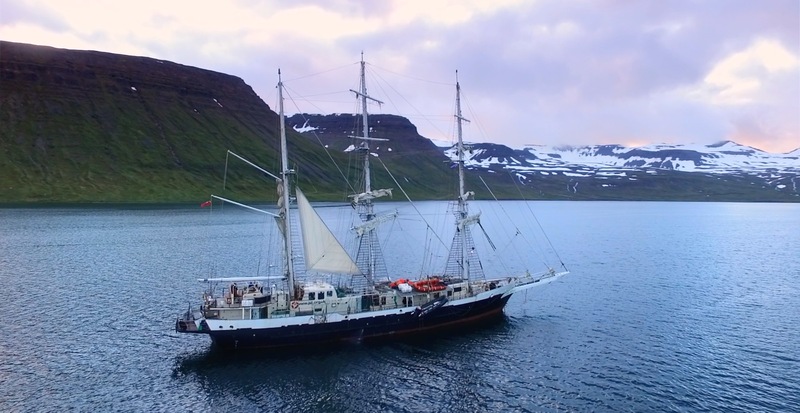 Passage voyages are typically 14+ days in length and may include sea areas at times of the year when the weather could be expected to be changeable – the North Atlantic Ocean passages in Mar/Apr & Oct/Nov, though unexpected bad weather may be experienced at any time of the year). Depending on sea area, we will most likely be more than 200 nautical miles of a safe haven and carry out passage(s) of more than 600 nautical miles at sea. The fantastic 800+ nautical mile trade wind passage from the Canary Islands to Cape Verdes fits this category, and affords long periods at sea with your mixed ability ship mates to really get to ‘learn the ropes’ and form great friendships. These are long duration, challenging voyages. These could be Transatlantic passages or other long Ocean passages around 30 to 40+ days. The ship will be mostly more than 200 nautical miles from a safe haven, and single passages will be more than 1,000 nautical miles and possibly calling into remote islands. You will be out of sight of land for long periods of time and may not even see another ship for weeks (“Eye spy with my little eye, something beginning with S”). 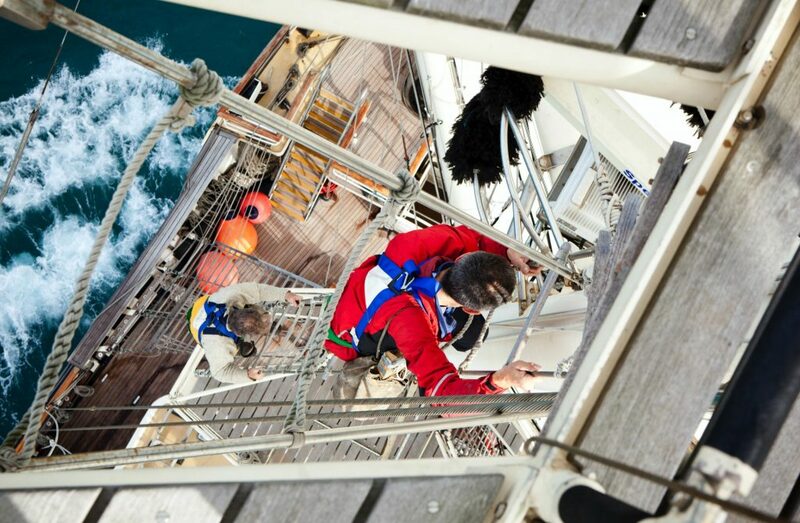 Whilst challenging, these are often ‘bucket list’ type voyages for many and will prove to be a great adventure. 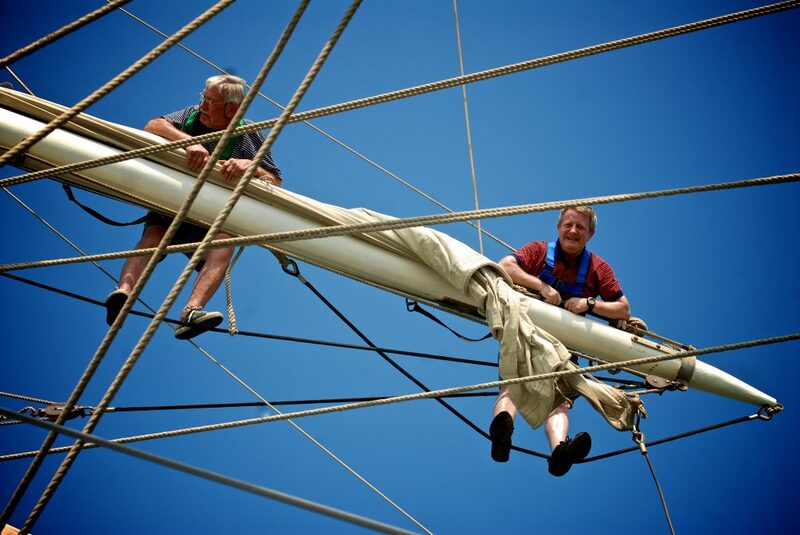 Take part in a once-in-a-lifetime classic, tall ship voyage of discovery and adventure in the wake of sailors of the past. These will be in the most remote parts of our planet and at times out of reach of direct assistance. Our long 5,000+ nautical mile Southern Ocean passages from New Zealand around Cape Horn, or voyages in the Polar regions would fall under this category. Our voyage crews will be very carefully considered before confirmation. You will most likely be required to purchase additional kit before sailing (e.g. thermal clothing). "This last period of euphoria effectively stood for how I felt about the whole voyage – and I am forever in debt to those who made it possible for me to go. It really was life-changing, and I now look at the world differently. "